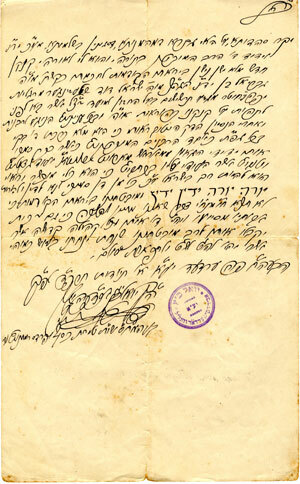 The Yeshiva University Archives is pleased to announce the inception of the Zoltan Erenyi Memorial Collection of Hungarian Judaica. The collection is named after the late Mr. Zoltan Erenyi, a”h, who was an author and social worker with a long time interest in the study of the Holocaust and in his Hungarian Jewish heritage. 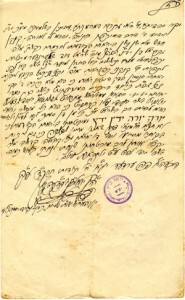 The initial items in the collection include Mr. Erenyi’s personal papers and a collection of documents, the property of the late Rabbi Gavriel Schlesinger. These mainly concern Rabbi Schlesinger’s activities as secretary of the Mizrachi in Hungary in the period leading up to and including the Holocaust. The Archives also acquired an interesting typescript report about the condition of Hungarian Jewish refugees who made their way to Austria in 1956 following the Hungarian Revolt. It was written by the Zionist leader, Josef Jambor, known for his organizational activities in pre-Holocaust Hungary and for his role as an editor of Uj Kelet (New East) and Al HaMishmar. We welcome suggestions for appropriate additions to the collection.